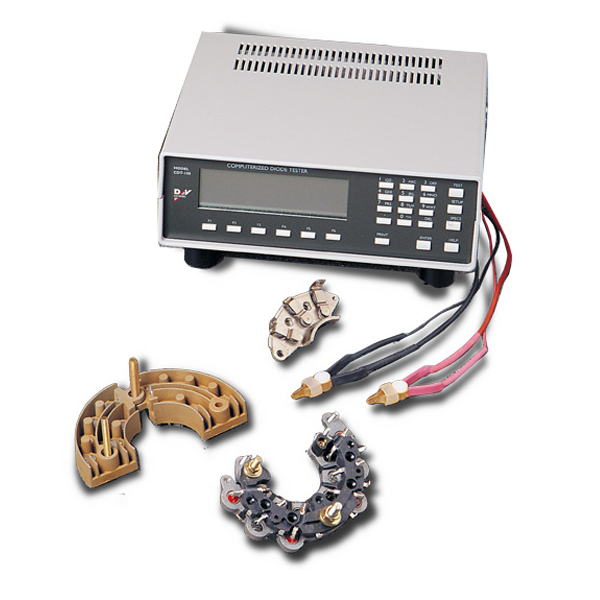 The CDT-150 is a microprocessor based diode test unit designed to provide remanufacturers with a quick, accurate, and easy to use device to test all main parameters of regular and avalanche rectifiers. Thank you for your interest in the CDT-150. Please fill out the form below so we can send you the brochure. Thank you for your interest in the CDT-150. Your request has been submitted to our sales department, and we will get back to you soon.